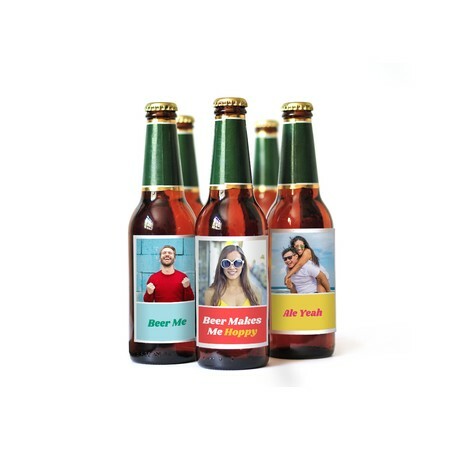 Customize wine labels and beer labels with your photos and text. Custom wine and beer labels are a creative way to personalize your next event, such as a birthday, anniversary or wedding. 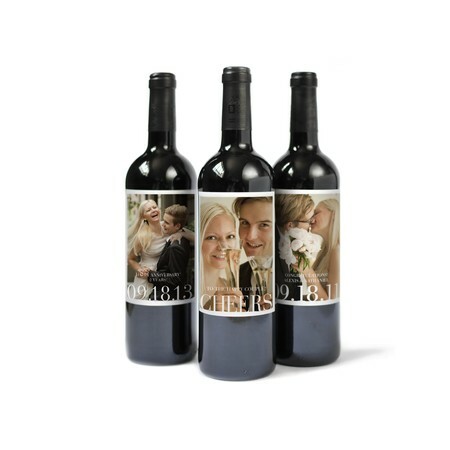 All Pinhole Press wine, mini champagne and beer labels are customized with your photos and text. 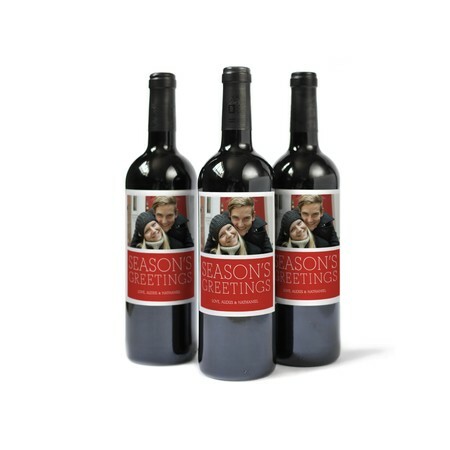 Custom wine labels are 3.75 x 4.5” and ship in sets of 9 labels per order for $9.99. 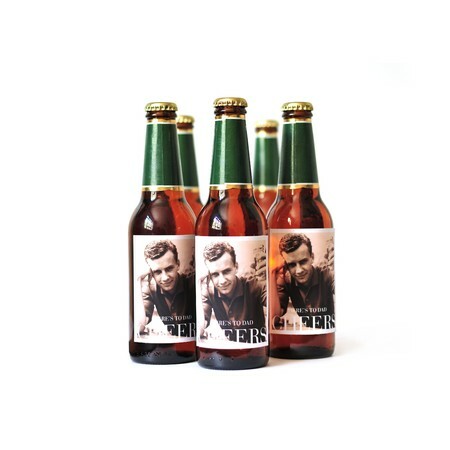 Custom beer labels are 2.875 x 3.5” and ship in sets of 15 labels per order for $11.99. Custom mini champagne labels are 2.25 x 2” and ship in sets of 28 labels per order for $9.99. It’s simple to apply your personalized labels to any bottle of wine, beer or mini champagne. 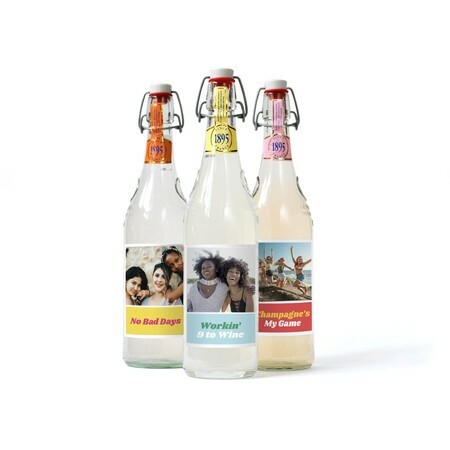 Click here to learn how to apply your personalized labels to any bottle. 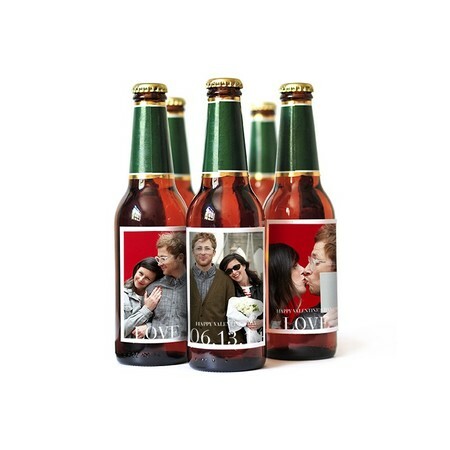 Custom wine and beer labels are a great way to personalize a birthday, anniversary or wedding. All photo labels ship within 2-3 business days after you place your order.